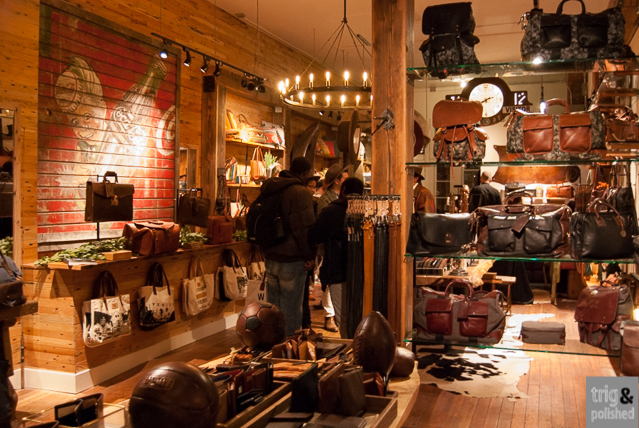 Earlier this month, we were invited to the grand opening party of Will’s Leather Goods in Hayes Valley. We had such a fun time checking the goods and learning about the shop from the store manager, Shauntee. 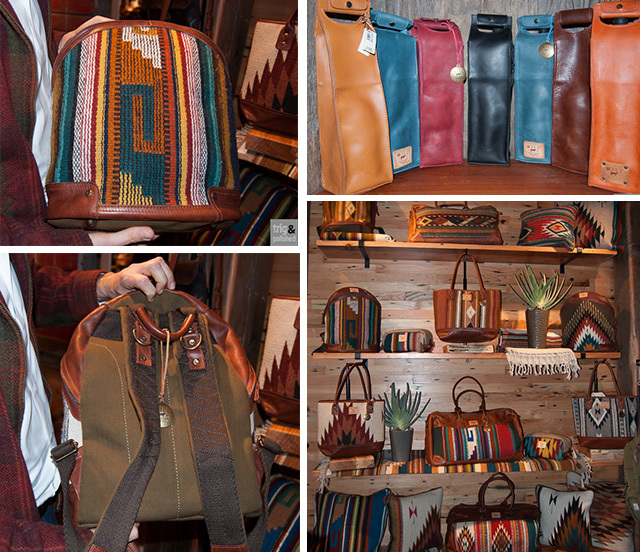 You might recognize that name as one of the members of the T&P scouting team so you know she has the skills to style you up with handsome bags, hats and leather accessories. My handsome assistant, Spencer and I got to dine on chicken sandwiches and greek frozen yogurt topped with olive oil and sea salt provided by Souvla, as we perused the hats and vintage postmaster bags in the hat shop downstairs. 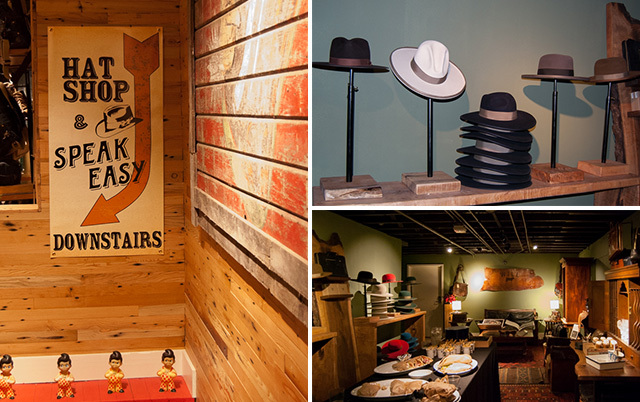 There are tons of high quality, well-crafted pieces in this store from hats, to leather belts. 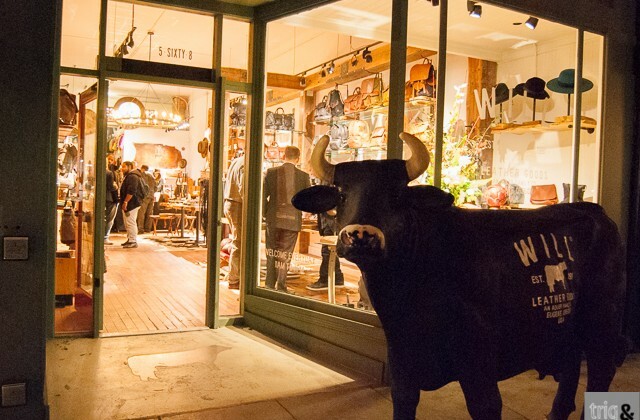 If you are in the San Francisco area, I highly recommend that you stop in this store. Tell Shauntee that Adriana sent you. Oh, and if you happen to try on one of the fancy hats downstairs, please snap a picture and then tag @trigandpolished when you post it on Instagram. I really want to see how those brightly colored felt hats look on. The colors are amazing.